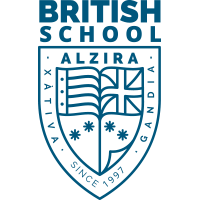 The British School of Alzira is located in a fertile valley of orange groves half way between Alzira and Tavernes de Valldigna. The mountains provide a beautiful backdrop to the four storey, attractive building which was originally built as a sanatorium. It’s three swimming pools, two games pitches and large sports pavilion offer excellent opportunities for sporting activities whilst its several playgrounds and gardens allow the children to enjoy plenty of outside activities. BSA caters for pupils from 8 months to 18 years of age. By the year 2010 there will be a full complement of pupils up to18 years old. 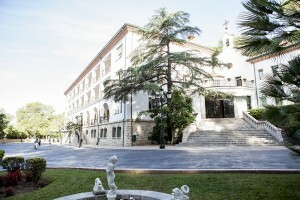 The school is authorised by the appropriate British and Spanish authorities. It offers a complete British National Curriculum, from the Foundation stage through to Secondary (currently year 11). It also teaches the standard Spanish subjects demanded by the Spanish Education Ministry. The school employs fully qualified teachers with many years experience who follow the DfES Numeracy and Literacy strategies and keep abreast of educational developments. Students have achieved very high results in British SAT examinations in English, Mathematics and Science in year 6 and the school is preparing for year 9 SATs, International GCSE’s and ‘A’ levels in the years ahead. Our school is a learning community with high academic standards and a strong emphasis on the development of the individual. We value independent thinking as well as cooperation and teamwork. A House system in upper school reinforces this approach. A school psychologist helps students to improve their learning potential and students who need extra help in English are supported in a separate department. Reports to parents are issued every term and internal assessments to track student achievement are done on a regular basis. We organise many charity events and visits to places of interest which allow our students to appreciate the world beyond their home and school.